Hi everyone! I'm a long time viewer of Day but this is my first time posting. I wanted to get feedback on a series I've been working on with a friend, maybe you can tell what inspired it. Please let us know what you think, we're working on revamping a few aspects of the show for future weekly releases, but we want it to be something you all enjoy, and something we can give back to the community. I'm playing a ton of Brood War. Anyone else want to play? Grab Hamachi and Chaoslauncher with the forcehamachi plugin and I'll send you the info! A POEM about the end of starcraft! 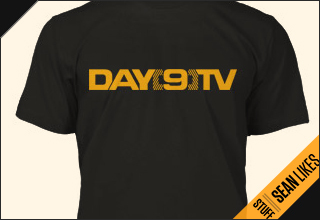 *please look day9*! Hey fellow Day9-ers and Starcraft lovers! Have you guys heard of Carbot Animations, I don't know his actual name but he makes absolutely hilarious starcraft animations and post new videos every saturday!